Must see! NEW/NEWER APPLIANCES, HVAC, WATER HEATER, & ROOF. 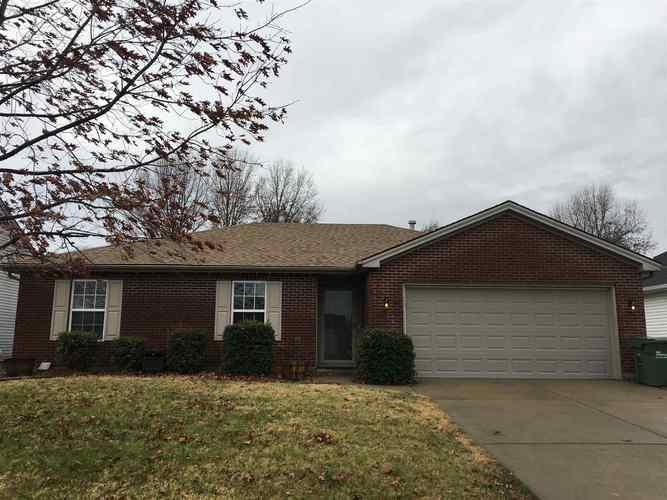 3 Bedroom 2 Bath home on North side of Evansville in Ashton Park Subdivision off Oak Hill Rd. Home is close to Oak Hill School. Great Room with vaulted ceilings. Large open kitchen with breakfast area. Master bedroom with Master Bathroom and walk-in closet. Vinyl windows throughout. Beautiful privacy fenced in yard with pretty landscaping and a 8x12 yard barn. 2 Car Garage. New Roof 2016, New Hot Water Heater 2017, & New HVAC/Furnace August 2017. New microwave, new dishwasher, & new oven/range 2018. Home includes home monitor/burglar alarm system.